The East European High Speed Line (HSL) is a project of 406km of new high-speed railway allowing a commercial speed of 320km/hour, between Paris and Strasbourg. 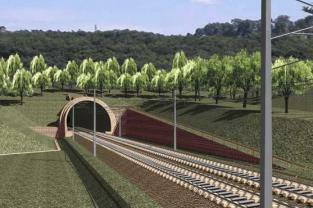 The first phase of the East European HSL project was completed with 300km of new track in June 2007. The second phase (106km of track) was completed end of 2016.